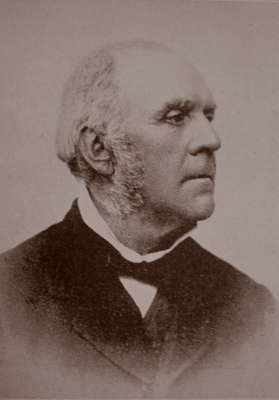 William FitzWilliam, Viscount Milton was born on 27 July 1839. He was the son of William Thomas Spencer Fitzwilliam, 6th Earl Fitzwilliam and Lady Frances Harriet Douglas. He married Laura Maria Theresa Beauclerk, daughter of Lord Charles Beauclerk and Laura Maria Theresa Stopford, on 10 August 1867 at London, EnglandG.2 He died on 17 January 1877 at age 37. He was styled as Viscount Milton. 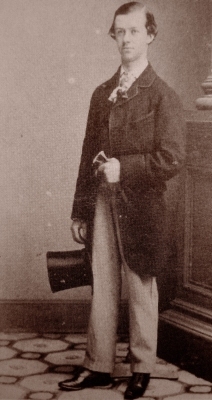 William Thomas Spencer Fitzwilliam, 6th Earl Fitzwilliam was born on 12 October 1815. He was the son of Charles William Fitzwilliam, 5th Earl Fitzwilliam and Hon. Mary Dundas. He married Lady Frances Harriet Douglas, daughter of George Sholto Douglas, 17th Earl of Morton and Frances Theodora Rose, on 10 September 1838.3 He died on 20 February 1902 at age 86. He was appointed Knight, Order of the Garter (K.G. )4 He succeeded as the 6th Earl Fitzwilliam, co. Tyrone [I., 1716] in 1857. [S142] Bernard, Sir Burke, editor, Burke's genealogical and heraldic history of the landed gentry of Ireland, 3rd ed. (London, U.K.: Burkes Peerage Ltd, 1912), page 283. Hereinafter cited as Landed Gentry of Ireland. Emile William Fesq died before 1980.